Paperhaus has announced a fall tour, set to begin August 28th in Athens, OH. The Washington D.C. group has become a regular fixture in the local music scene, hosting shows at their DIY space of the same name. 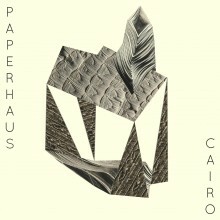 To coincide with new single, Paperhaus has released a new single called “Cairo” which you can stream below. If you haven’t heard these guys yet they’re worth checking out, as they not only make material that has some catchy melodic hooks but have helped to keep the DIY scene in D.C. active. If you’ve spent much time around the DC music scene for the past five years, you’ve heard of Paperhaus. They’re a band founded by long time musical partners Alex Tebeleff and Eduardo Rivera, and over the course of two EPs and multiple national tours, they’ve worked their way up as one of the most well-known live bands in the city. Danny Bentley joined the band in 2014, adding a new edge and energy to the band with his relentless and powerful drumming.